Ložišća is a small place situated on a steep stone glade with perfectly harmonized stone houses, just 2 km from the sea. 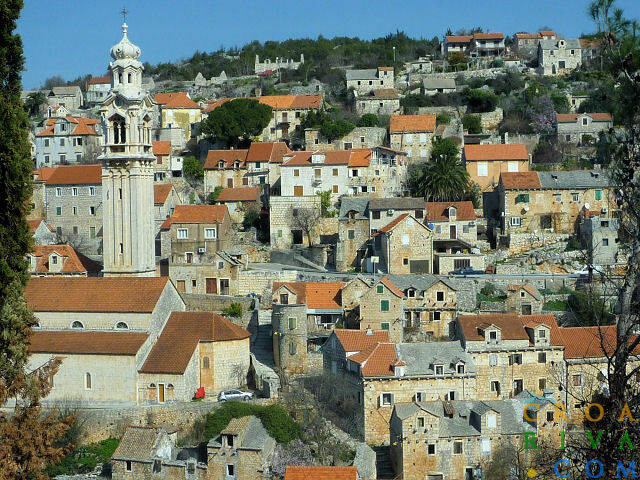 The first thing you will notice is the bell tower of the St. John and Paul Church that stands out as one of the most beautiful of all Croatian islands. We can say this is a typical Dalmatian place with a distinctive island building style. It is also a proof of the crude reality of Brač karst and their strange choice to build their houses on the rock so they could live off the land that surrounds them, engaging in stone quarrying, olive growing, wine growing and exploitation of the arable land. You can enjoy in activities or do your daily shopping at towns Milna and Supetar.